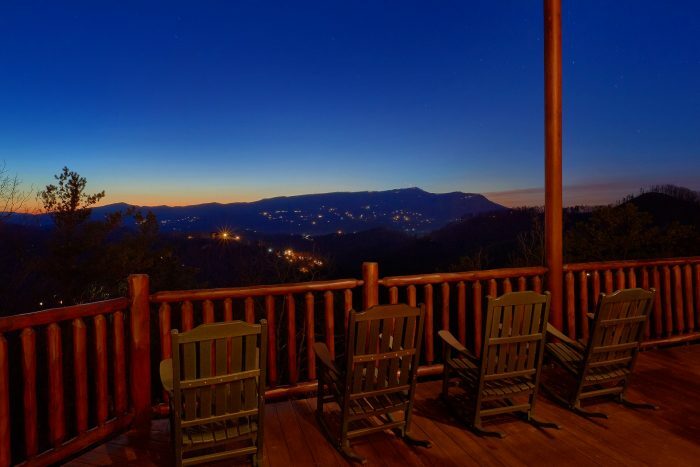 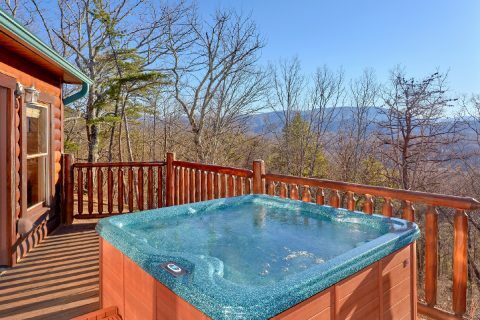 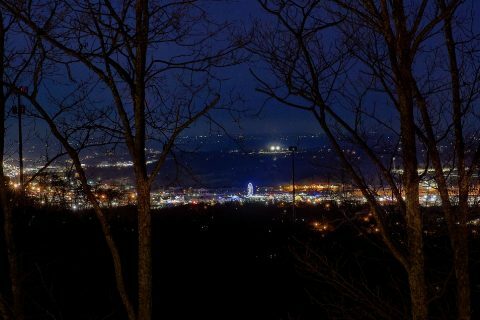 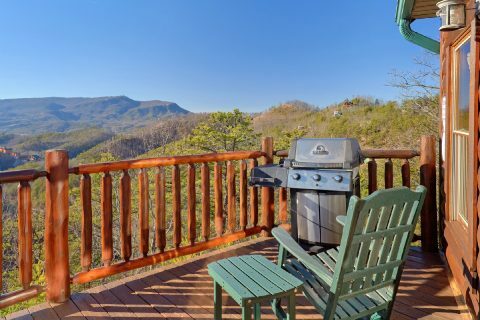 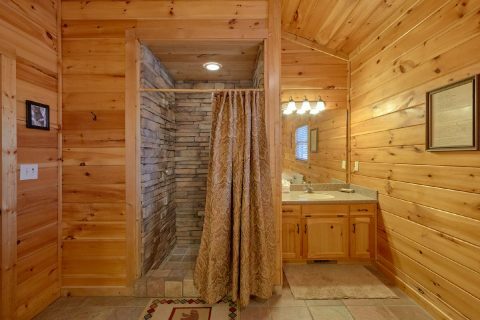 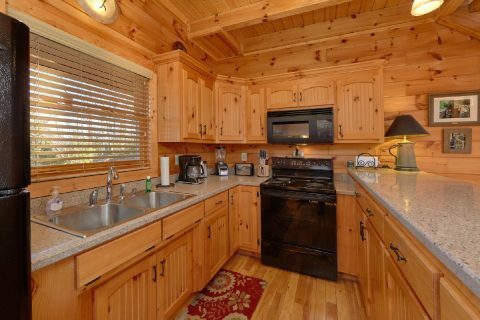 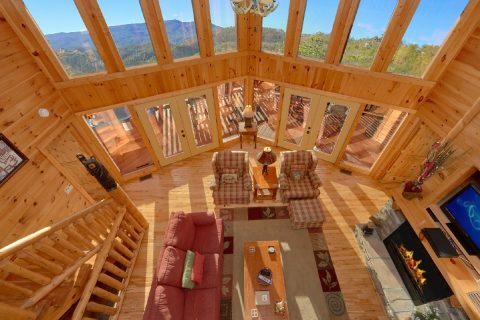 Located in the mountains near Pigeon Forge, you'll find "Cherokee Hilltop" a lovely affordable 3 bedroom cabin that's only 3.5 miles away from the action-packed Pigeon Forge Parkway! 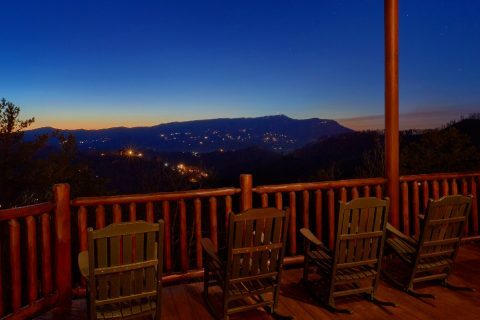 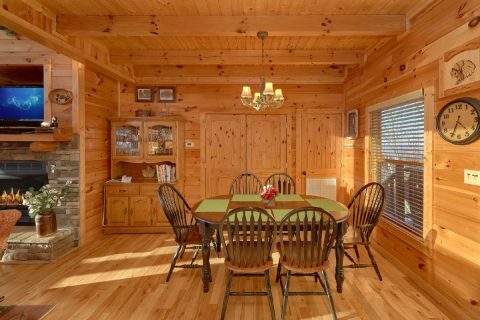 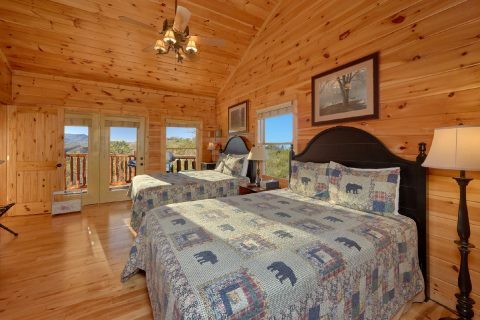 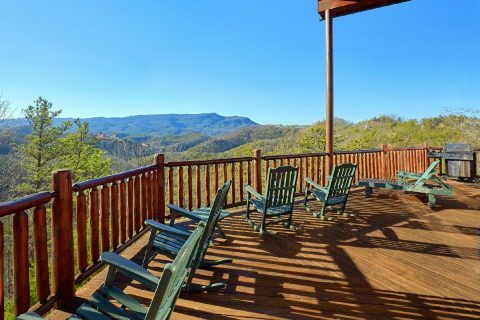 Not only does this cabin rental keep you close to top local attractions like the Old Mill, The Island, and The Dixie Stampede Dinner Show, but it also comes complete with excellent amenities to enjoy during your stay! 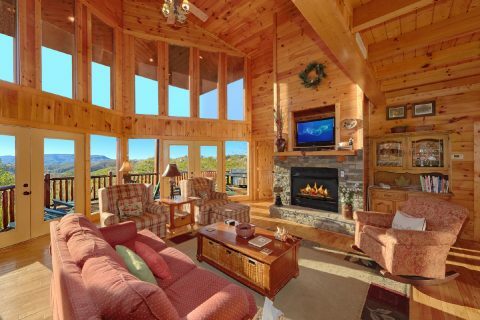 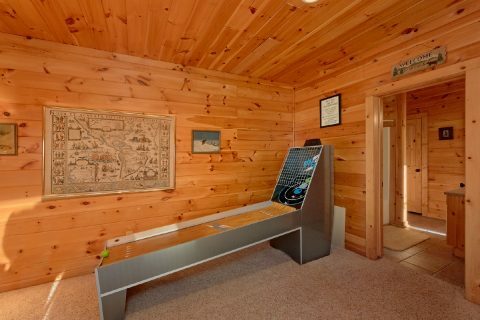 As soon as you enter your cabin in the mountains, you'll be glad you reserved a rental with plenty of fun amenities. 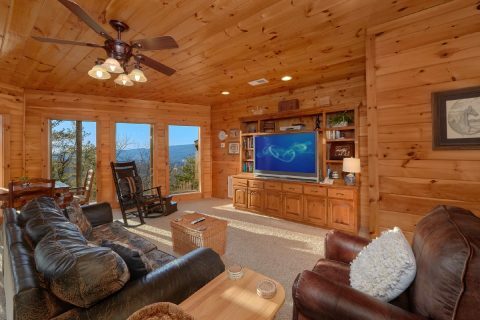 The main level of your rental is home to a beautiful living room with floor to ceiling windows, a gas fireplace, and a nice mountain view. 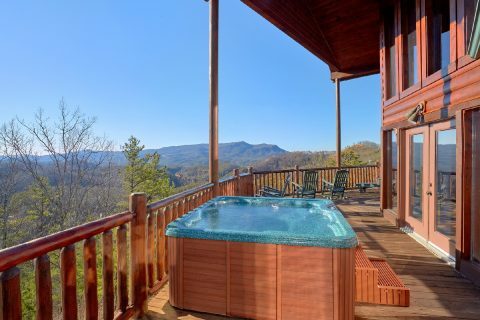 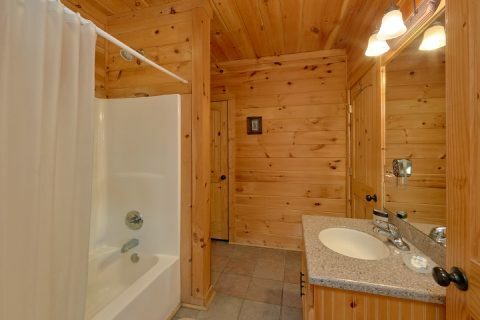 From here, you can step outside onto your cabin's deck where you can take a soothing dip in the hot tub. 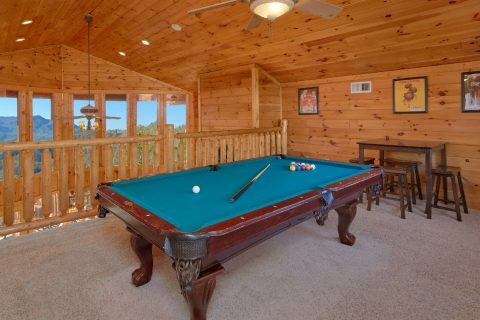 Upstairs, you'll find an open game room loft complete with a pool table. 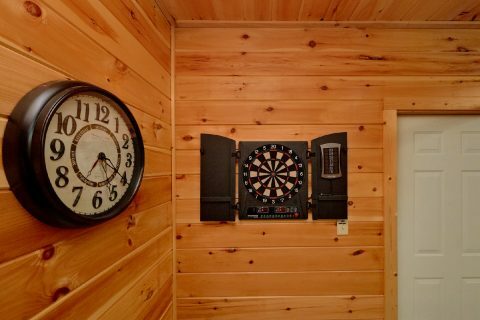 Downstairs, more fun waits in the 2nd living room area and another room that comes complete with a ping pong table, skee ball game, and a dartboard. 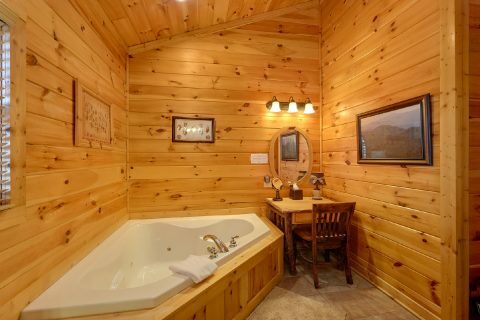 When you aren't busy enjoying some friendly competition in the game room, you'll love relaxing in the hot tub or taking a soothing soak in your cabin's indoor jacuzzi tubs. 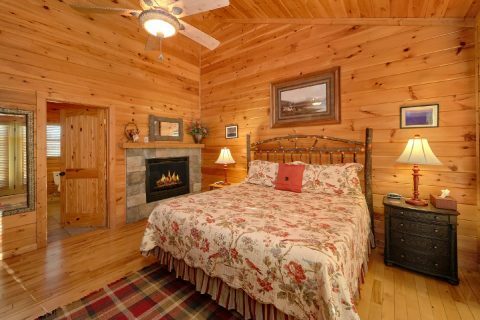 After a day spent hiking in the mountains or riding roller coasters at Dollywood, you'll be glad to have a cabin with plenty of comfortable sleeping space. 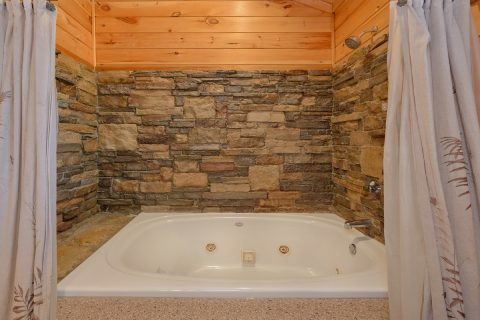 On the main level, you'll find a king bedroom with a jacuzzi tub and another bedroom with 2 queen beds and a jacuzzi tub. 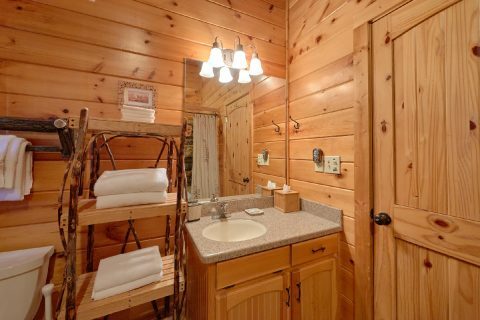 Lastly, on the lower floor has a bedroom with two sets of bunk beds. 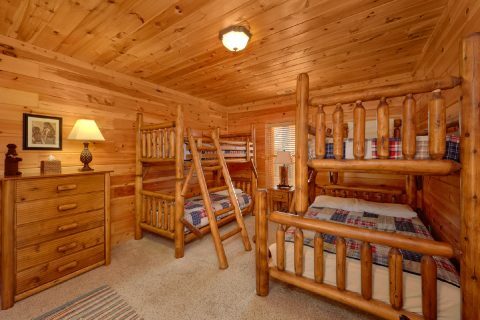 One of the bunk beds has two twin beds and the other bunk bed has a twin bed over a full bed. 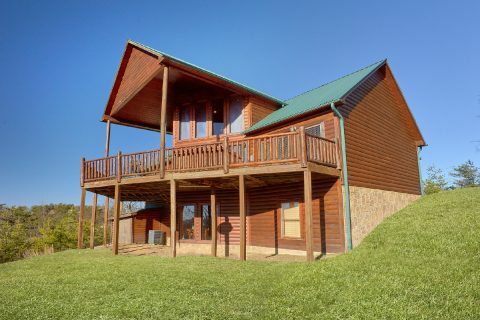 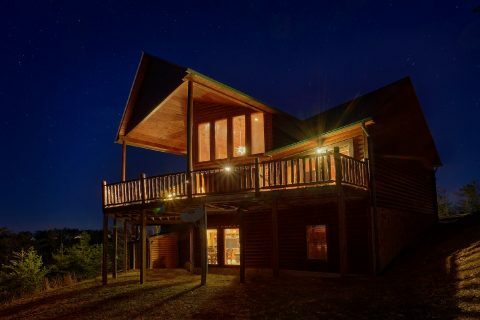 Altogether, "Cherokee Hilltop" can sleep up to 11 guests in comfort. 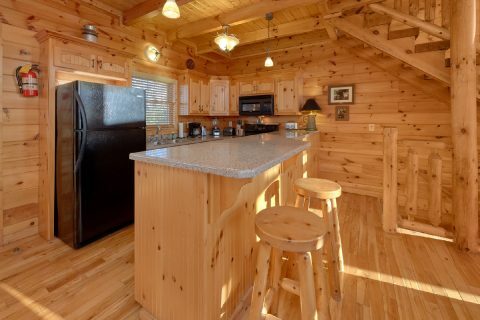 This affordable 3 bedroom cabin also comes with practical amenities like a full kitchen and WiFi Internet to use during your stay. 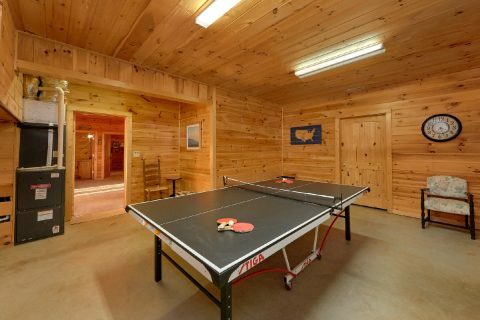 Book this cabin in Pigeon Forge with a ping pong table today to save 15% on your nightly rate with our special cabin discount! 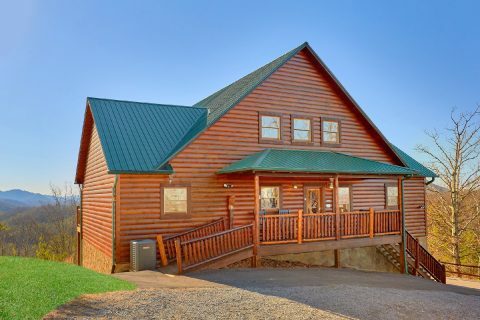 Book today & save with Cabins USA!